Throughout the many years that Cloudnine Realtime has been supporting accountants and their business clients of all shapes and sizes, one of the most requested applications to host, or support in various ways, has been QuickBooks Point of Sale, also known as POS. And granted, after hearing the various reasons from these users, it’s understood why the requests kept pouring in almost on a weekly basis. But Cloudnine Realtime has been ready, since early 2013, to take your business POS needs to the Cloud with the industry’s best QuickBooks cloud hosting Point of Sale solution, tailor-made for each and every unique retail, POS and accounting needs. 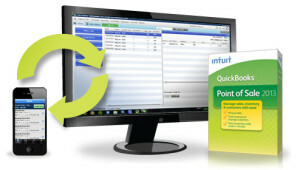 Cloud hosted QuickBooks Point of Sale 2013 allows for the capability to sync all orders, inventory, customer lists, employee records (such as time clock history, payroll management and security,) and payroll information to your Cloud hosted QuickBooks Accounting software with just the click of a button using the End of Day Procedure feature. This allows users to perform all of the accounting needs from the QuickBooks accounting software rather than having to re-enter everything done in POS back into their accounting software, preventing double the work, and thus double the costs of paying staff or outsourced accounting. Cloud hosted QuickBooks Point of Sale 2013 also allows for multiple lanes or multiple locations to use just one centralized database, which allows your stores you take multiple orders at any given time without the hassle of long lines, which increases customer satisfaction. 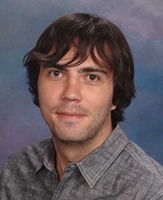 Do your stores have their own, separate database? Not a problem! Do your stores have their own unique QuickBooks Accounting company data? We have you covered. 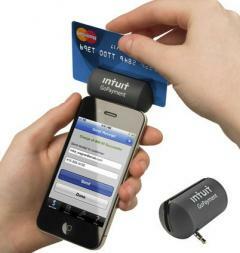 Each instance QuickBooks Point of Sale 2013 allows you to sync data to any company file that you bring to the Cloud. Lastly, Cloud hosted QuickBooks Point of Sale 2013 creates a streamlined work-process, which provides the user with a one-stop platform for all accounting needs. The ease of use created by having both Cloud based QuickBooks Accounting software along with the POS application hosted by Cloudnine Realtime, rather than the two being seperated, puts a stop to end-user confusion, and prevents users from entering in financial information twice, both limiting employee costs and improving productivity. So if you have a brand new store, or a chain thereof, that you’re looking to get off the ground, or you’re already bringing customers in droves to your store, Cloudnine Realtime is your solution for all next-gen QuickBooks Point of Sale needs.